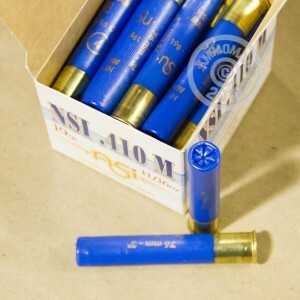 This 410 bore shotshell load from NobelSport is designed for firearms such as the Taurus Magnum Judge. Each shell in this box of 25 fires a 11/16 oz. load of #4 buckshot. 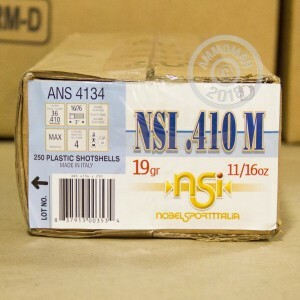 NobelSport ammunition is manufactured in Rivalta, Italy and enjoys a solid reputation for reliability and quality. 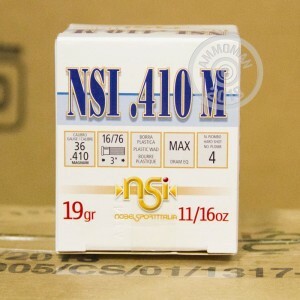 Stock up at AmmoMan.com and enjoy free shipping on all orders over $99!